Buddha statues come in all sizes, from small enough to fit in your pocket to big enough to fill the front of a very tall temple. 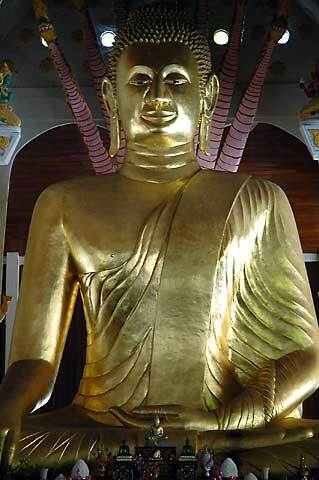 This Buddha is in the very large category – you can see from the very small Buddha down by his hands just how big he is. Here again, the (barely visible in this picture) Naga has raised up in the background to protect him.